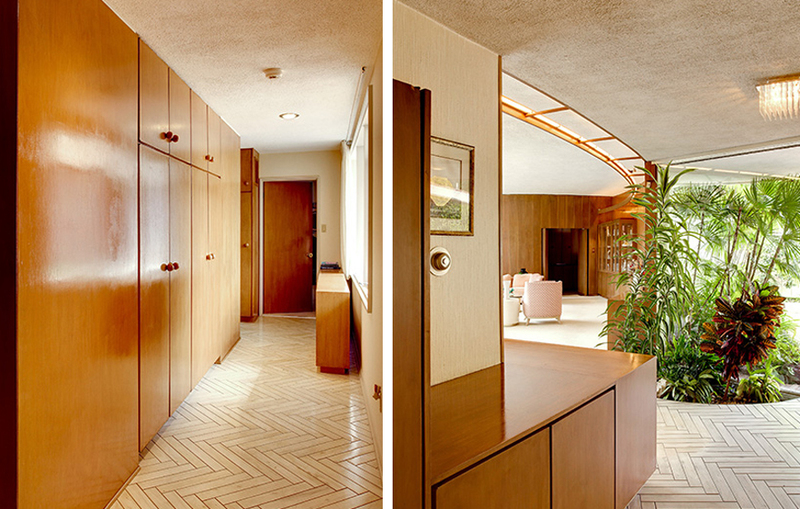 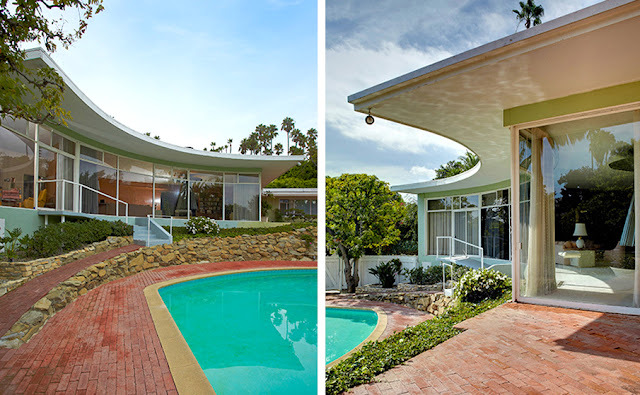 Another mid-century modernist home by American architect Kenneth Lind (see my previous Lind post). 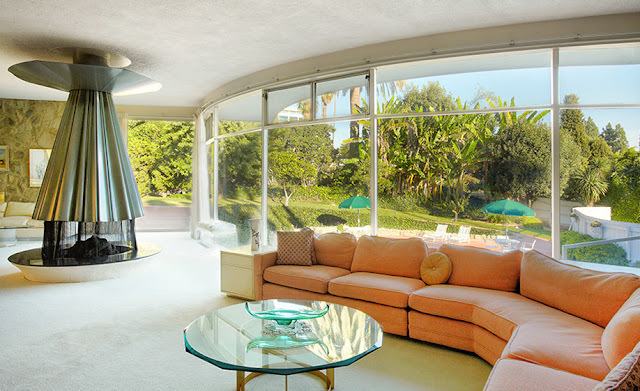 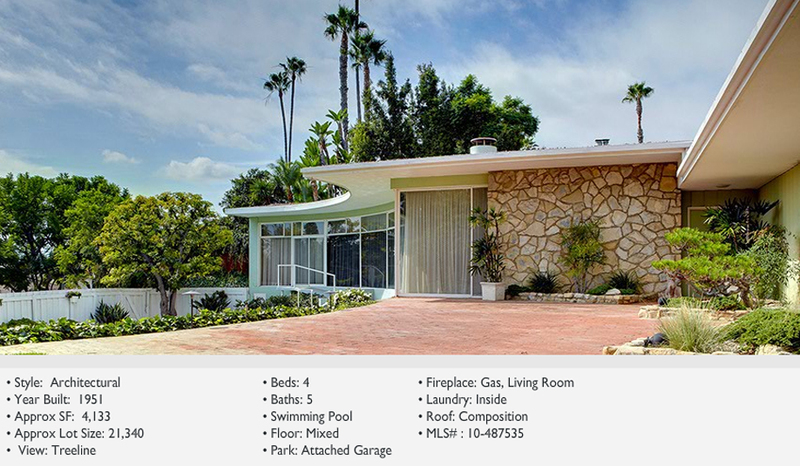 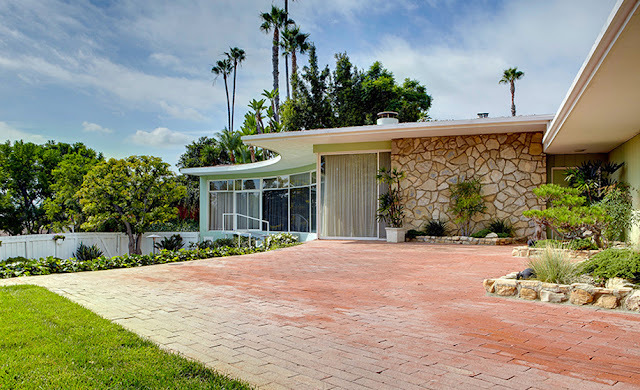 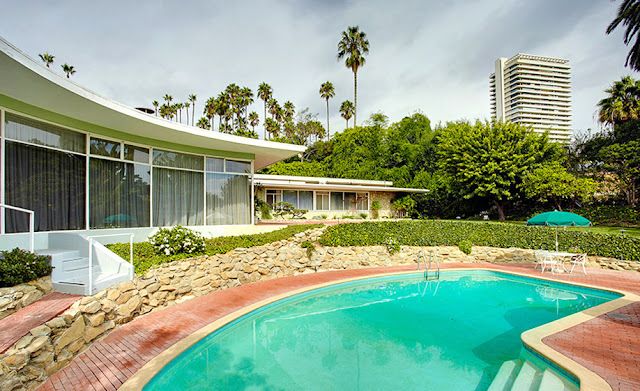 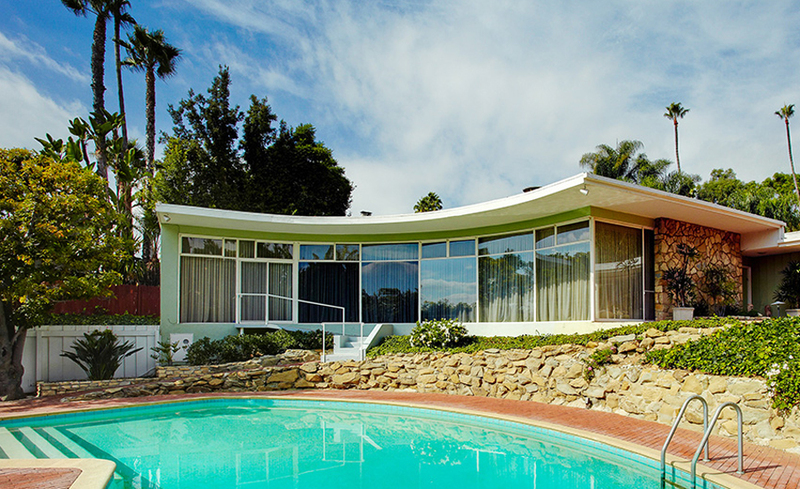 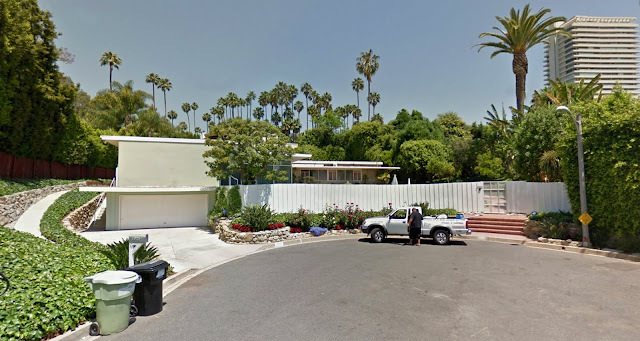 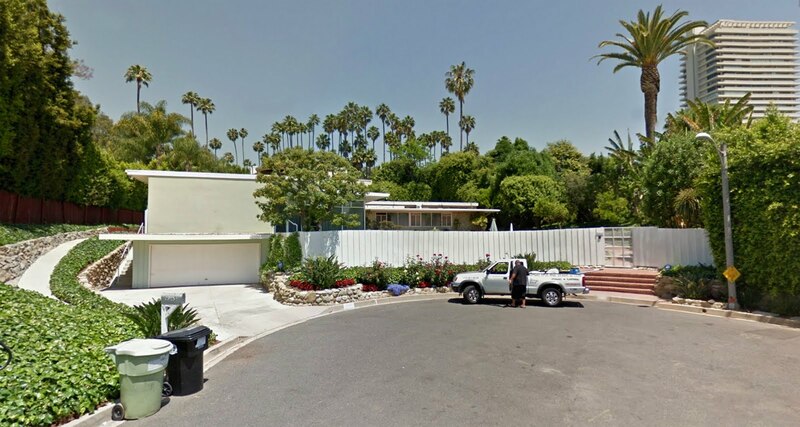 This 1951 home originally designed by Lind for noted Hollywood screenwriter Manuel Seff, is located just off of Sunset Boulevard in Beverly Hills. 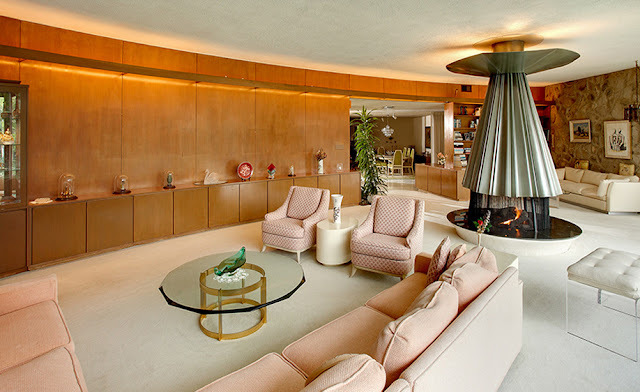 The 4,133 square foot home features 4 beds, 4.5 baths, semi-circle living room with central fireplace and a large party-ready patio and swimming pool. 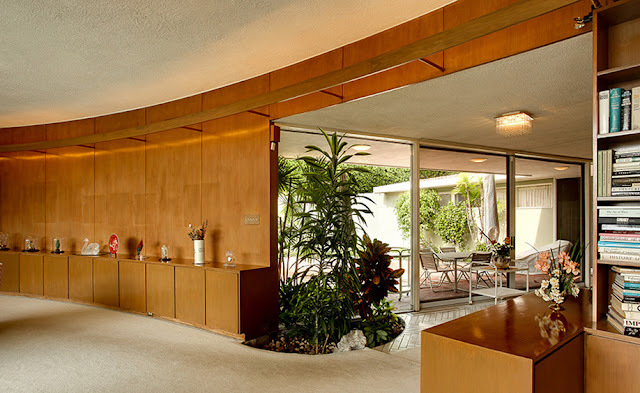 Though the home appears to need some TLC, it is not hard to see its potential. The home is currently listed at a whopping $4.45 million. 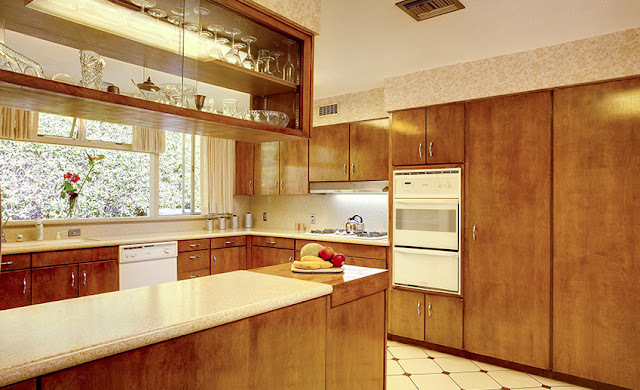 Images courtesy of Crosby Doe Associates.